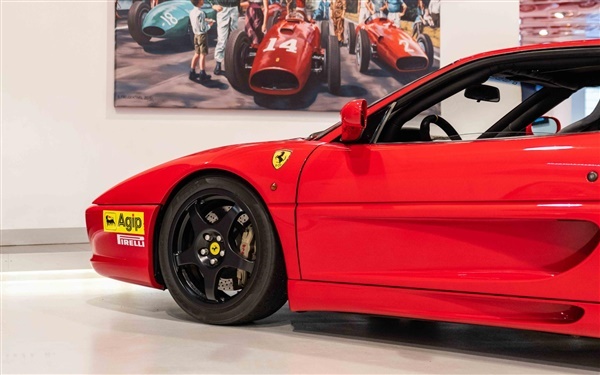 The Ferrari F355 Berlinetta was introduced at the 1994 Geneva Motor Show; the highly demanded successor to the now ageing 348. 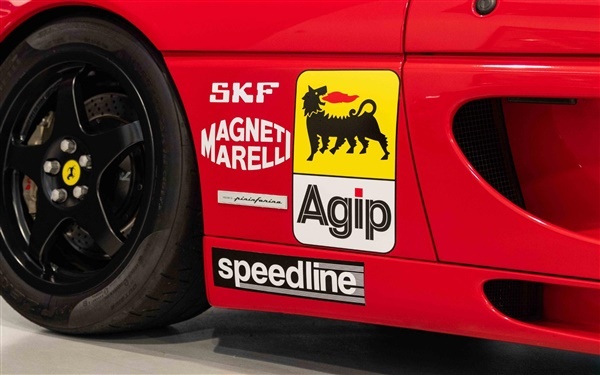 The 355 was not only a stark improvement stylistically on the 348, but it also saw a number of technical improvements, such as power steering and electronically controlled damping. 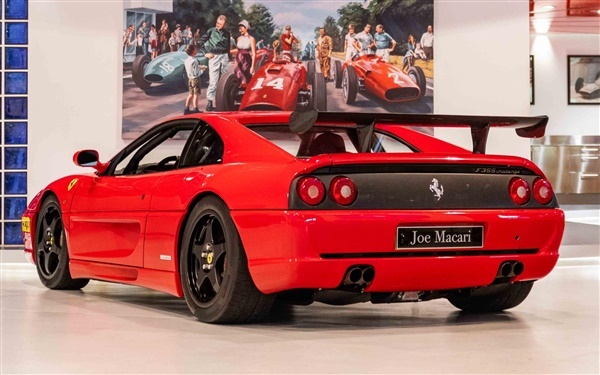 The F355 name referred to the new 3.5-litre V8 engine with 5 valves per cylinder; a unit capable of propelling the beautiful Pininfarina-styled body to 60mph in under 5 seconds and top speed in excess of 180 mph. 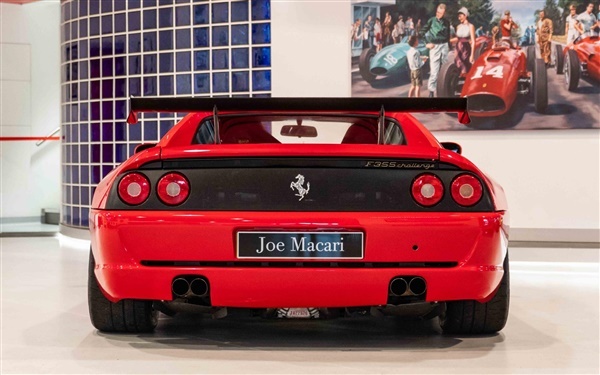 Further, the motor is responsible for what remains today one of the finest engine notes ever to come from Maranello.In 1995, Ferrari revealed a race-spec F355 Challenge model to be used specifically in the Ferrari Challenge race series. 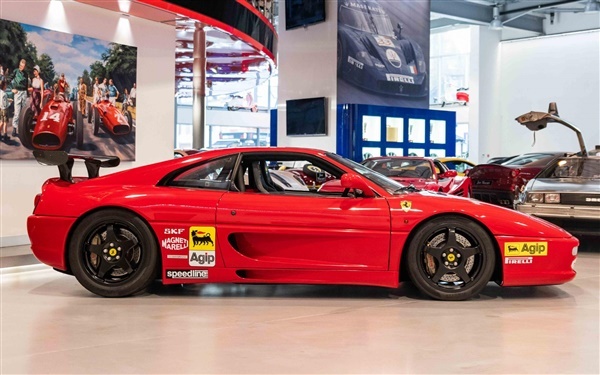 This involved a $30,000 factory-to-dealer upgrade kit. 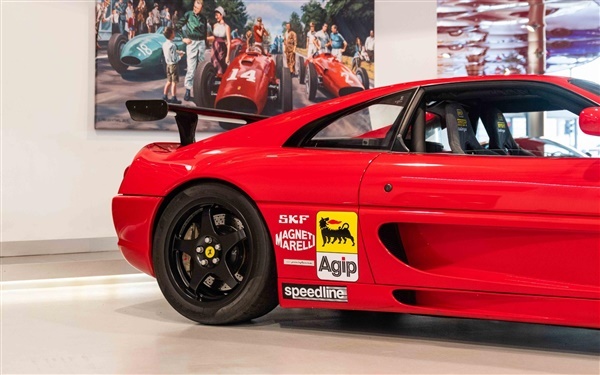 This upgrade package encompassed a large number of modifications to the standard F355 Berlinetta including a roll-cage, bucket seats, competition steering wheel, lightweight exhaust, rear wing, competition clutch, competition springs, and a lightened front bumper.The F355 Challenge was also given new 18" Speedline magnesium wheels that were wrapped in Pirelli racing slicks, whilst upgraded Brembo brakes, carried over directly from the F40 helped improve the car's stopping power.All F355 Challenge cars were fitted with the iconic 6-speed gated manual transmission. 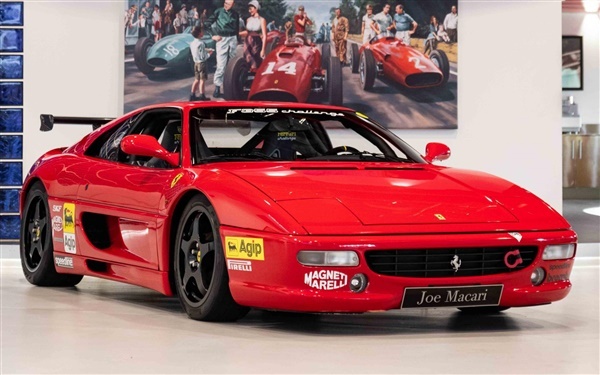 The car we are delighted to offer is an EU supplied example that raced within the Ferrari Challenge series for Team Ferrari Eberlein with the Gentleman driver Dieter Weigl. 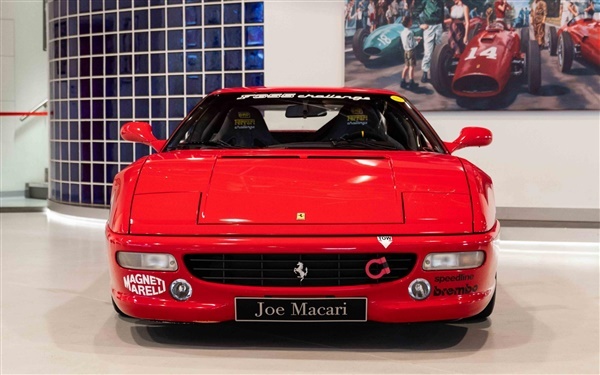 The car benefitted from a full engine out service at an official Ferrari Dealer in Austria with invoice in October 2015. 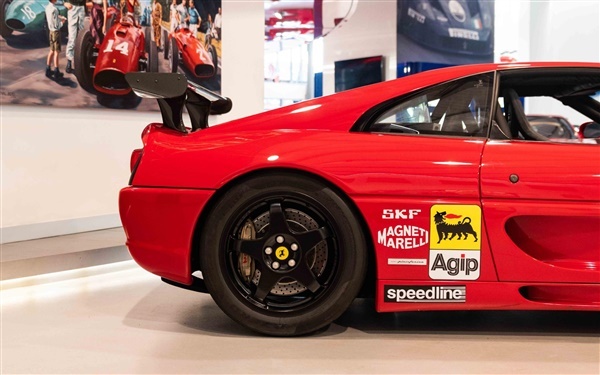 The car is also fully street legal, making it a great opportunity to obtain a highly collectable Ferrari that can be enjoyed thoroughly on both the road and track!